So If you missed the first part of the events series, were basically posting about all of the VAC events in five parts. THERES THAT MUCH COOL SH*IT. What: Fettish for Flannel? Check out Artist Stephani Volvas flannel photography— with unique personal style and a serious talent behind a camera, viewers come to see the awesomeness of flannel in a totally different light. Visit the store and its beautiful backyard courtyard and never look at flannel the same. What: Come to Nidor Gallery and smoke shop and feel ritzy and intellectual as you weave through and view “soul portals,” as well as murals and portraits by these two talented featured VAC artists. 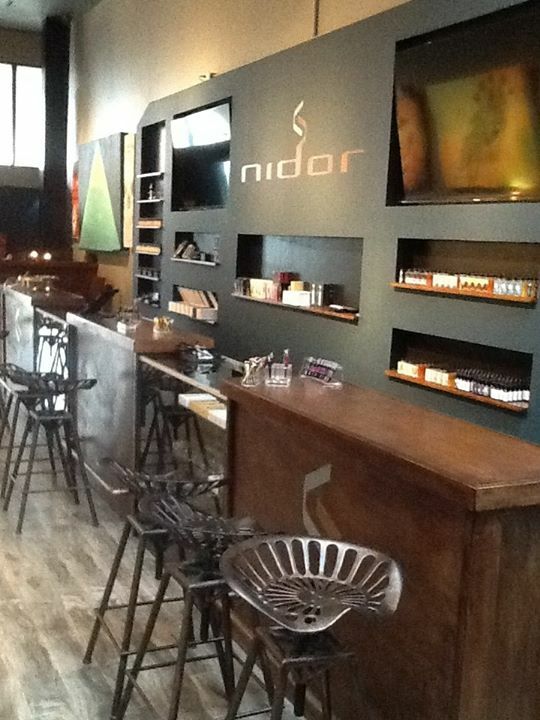 Check out Nidor’s juice tasting bar and check out their high end vapor products. 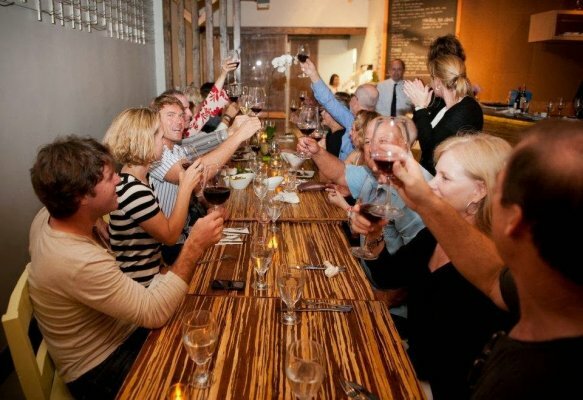 Where: Sunny Bak Studio 2214 Pacific Ave.
What: Sip wine and connect with what we all love most about Venice Beach and So-cal— the beach. Painter Todd Goodman truly encapsulates the essence of the pacific ocean in his acrylic paintings, highlighting some of his beach and surf scenes and Santa Monica Pier sunsets. Also featured will be the incredibly talented Joel Harris and his acrylic paintings on canvas— pairs best with Merlot or Sangria. Part Three Comes Tomorrow Crawlers! THE COUNTDOWN BEGINS! 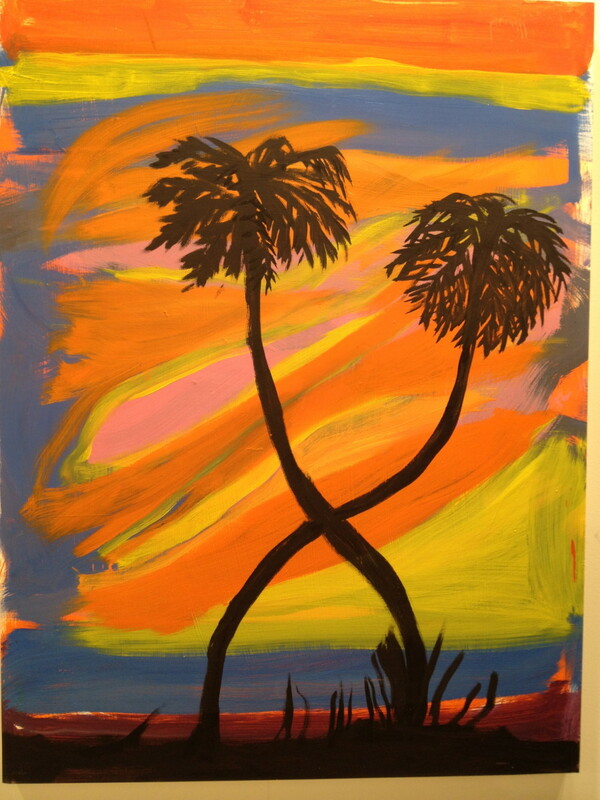 11-year-old sixth grader and artist, Charles Gitnick, from Los Angeles is the talk of the town in the art world, boasting title features at the Washington Post, Yahoo! News, Huffington Post, and the LA times. 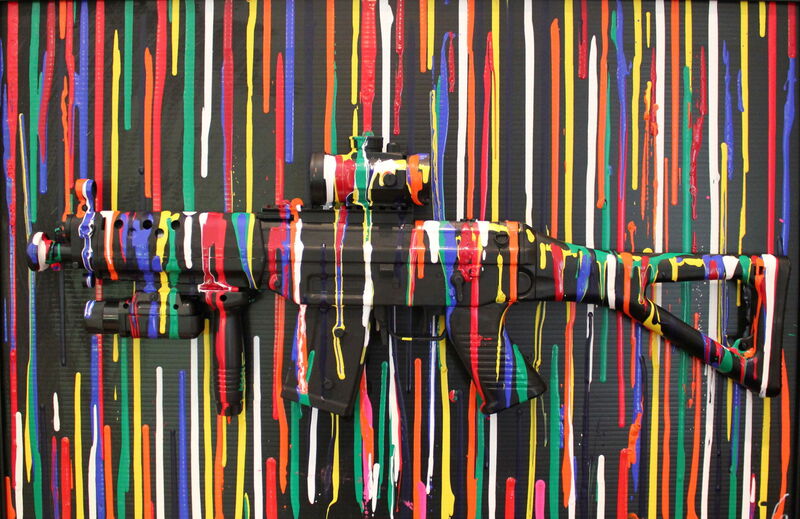 The young prodigy’s current work involves spray painted guns ranging in size and color, splattered with “Jackson Pollock-esk” paint drips, intended to bring awareness to America’s epidemic of shootings and violence. 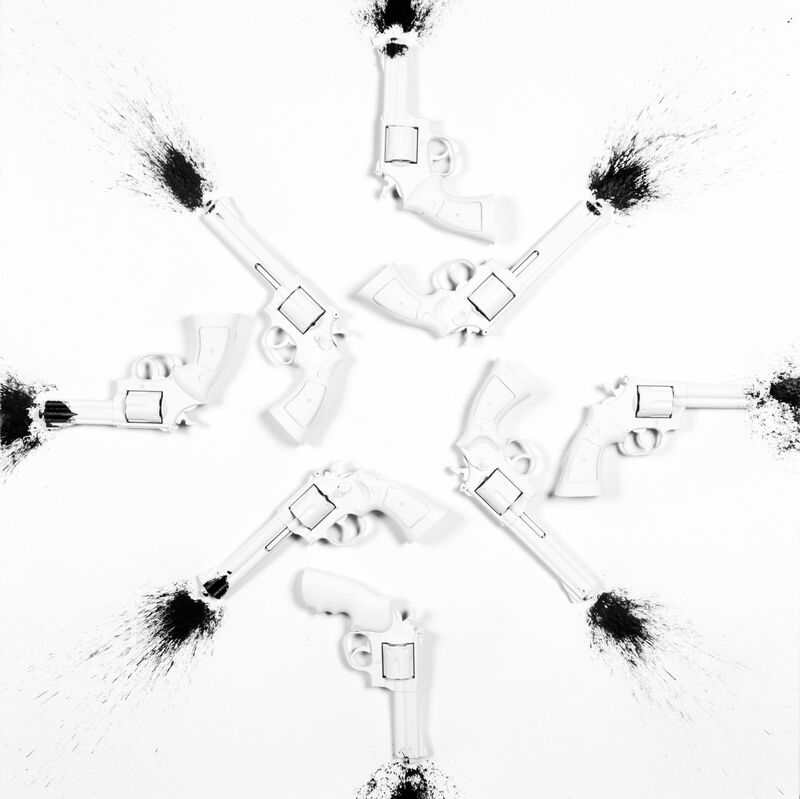 He calls his art work “3-D gun art” and claims that he was seven when he first started creating abstract artwork. He also asserts was inspired to be an artist by the work of Andy Warhol, Lenonardo Da Vinci, and Basquiat. 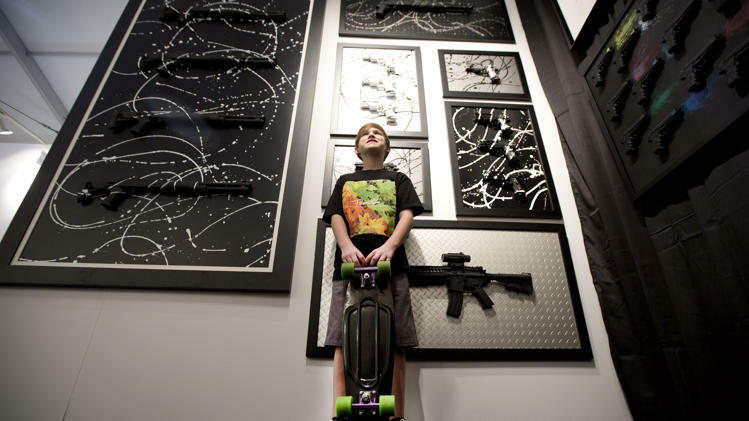 11 Year old Charles Gitnick poses with his “3-D Gun-Art”. LA Times: Last December’s Sandy Hook school shooting in Connecticut affected you – and your art – deeply. Can you elaborate on that? Gitnick: I stopped making art for 18 days because of it because I was afraid people would think I was promoting guns and not like my art. My dad talked to me about it and told me when those bad things happen it’s not a time for artists to back down; that’s when everyone is talking about it, it’s the best time to get the message out. So I started making art again. We rented a house in Venice a few years ago and we were walking on the boardwalk and I sold some gun art on the boardwalk — we got a permit. That was the first time I sold to the public. This summer we sold every weekend in July. We made $1,100 in one day, the most I’ve ever made in a day. I’m saving for a car. Read more about Charles Ginick’s interview with the LA Times here and check out his website!! Gabrielle lives in So Cal. 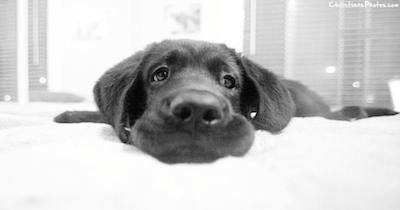 She’s black. Oh Snap! 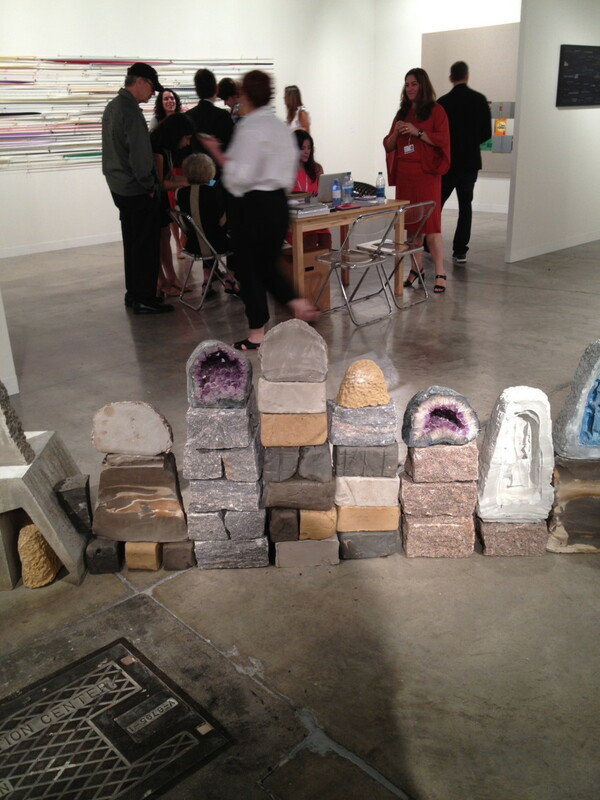 Art Basel Miami, Just Days Away! 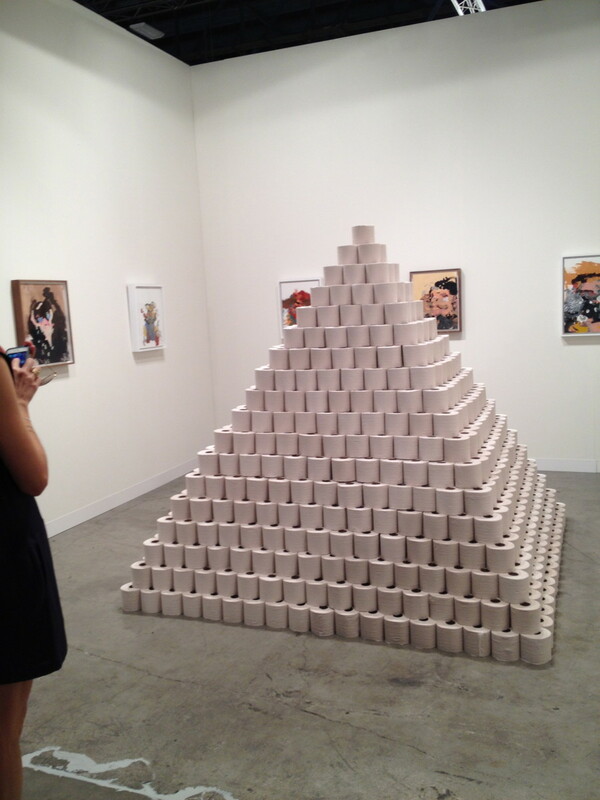 50,000 International visitors come to Art Basel and the exhibition has been coined the “International Meeting Place for the Art World,” with over 250 of the world’s leading art galleries participating. So if by chance any Venice Art Crawlers wind up in Miami December 5th- 8th, here is a list of ten of the raddest events going down during Art Basel Miami. Just don’t rub it in.